All about my hair colour! No, it was not Rihanna who did it first or made it popular! If you’re as old as me and you know your music, you will know a female rapper by the name of Charli Baltimore is who started it all. I’ve been rocking red/magenta hair since 2005. When I first seen this hair colour, I thought to myself I WANT THIS and I can pull this off. Not to sound conceited but I really thought I could pull it off and I don’t think that everyone can. You have to be able to wear this hair colour or it will wear you! It was definitely not popular as it is now and you would not see every other girl rockin it as you do now so I definitely got a lot of weird looks but I didn’t care. I have never went and got it done professionally, not once. From the very first time it was just me experimenting with bleach and different dyes. My hair is naturally dark brown but I dyed it black so to strip the black out was a pain. I bleached my hair 6 times in one day – not sure how I did not go bald… and the first hair dye I used was L’oreal… some kind of red… and it worked. It was vibrant and bright but it did not last. I had to dye my hair often and when it would fade, it was the most ugly rusty orange colour. Through the years, I experimented with various reds from drug mart stores and the best one was the L’oreal Power Reds that give you the little tube of the concentrated dye to help get it so bright… but again they were terrible for my hair… dry it out, make it break and eventually it killed my spirally beautiful curls. I would go back and forth between red and black..but I love red just love love love . I’m not myself without it. 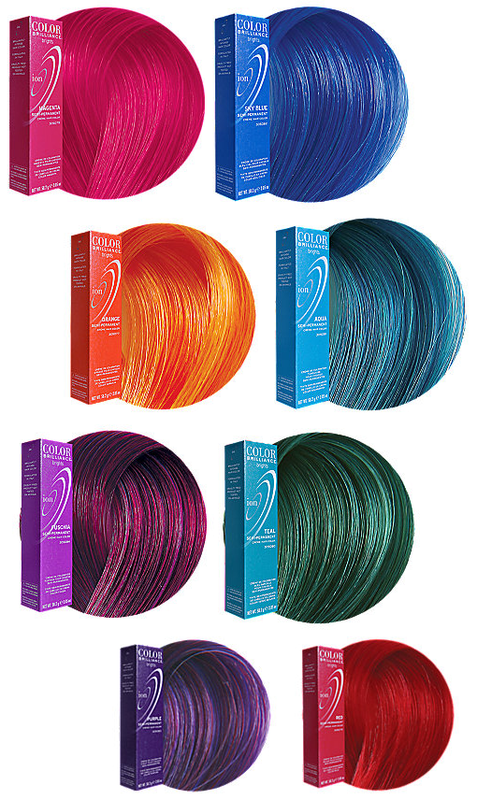 After years of searching for the perfect dye, I found it! Well I found 2. 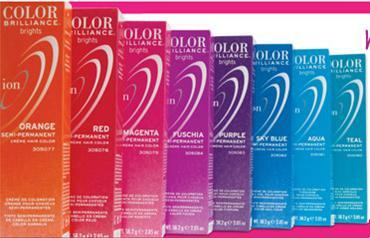 I am always stopped on the street and complimented on my hair colour and women always ask me which brand I use. They tell me how they try to achieve this fiery red but can’t… here it is. 1. ION Color Brilliance brights. They have so many different gorgeous colours. 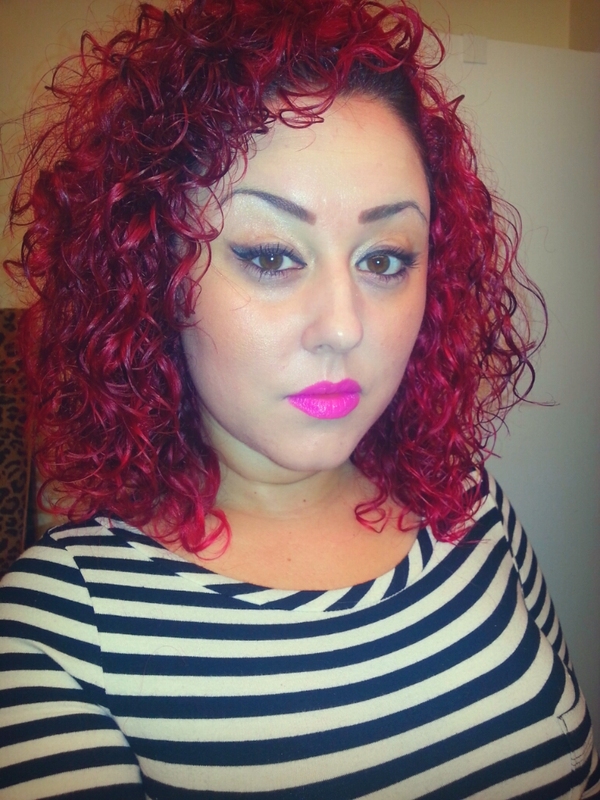 I use the magenta ( pink undertone) and red and mix it together. They are semi permanent, last for a LONG time. I mean I don’t have to refresh my colour for 2 months at least. I only do it because around that time I have to touch up my roots. The colour stays vibrant and when it starts to dull, there is no ugly orange fade out, it fades red/pink. I get this from Sally’s for 6.99 …. so compare that to L’oreal drug mart crap for 15 bucks. Yahhhh!! note: if you have dark hair, you do have to bleach your hair first. No matter how bright or vibrant the colour may be, it will not show. 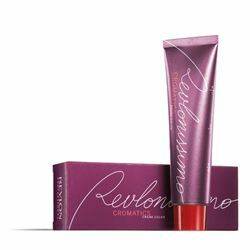 Second, hair dye I use, which I just recently tried and not for any other reason but because I happen to be in a beauty supply store and they just got some reds… It’s also a deep red/bright magenta shade but this one you have to mix with a developer. But it is also a great brand but I’ll stick with ION just because it’s easier to use. This colour takes a lot of maintenance I won’t lie. So if you don’t have patience to be doing your hair every 2 months, I wouldn’t suggest it. One thing I don’t like is that , the colour always runs. So prepare yourself for a lot of ruined towels and pillow cases lol but I simply love it and it’s a definite head turner. If you have any other questions at all, feel free to ask. 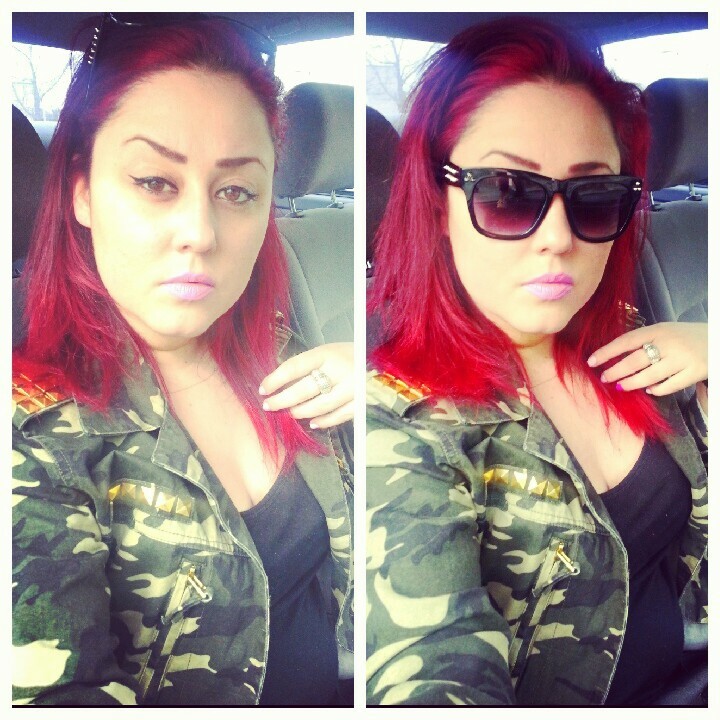 I CAN and HAVE pulled off red and I absolutely love it. I adore it and I get so many compliments! It is such a fun colour and it looks so cute on you! You really can pull it off (even with curls, which I find difficult to do!). My hair already has a natural red/auburn in it, so whenever I colour it red, it looks pretty natural. I don’t know if I’m brave enough to pull off such a vibrant colour but I totally love it on you! Thanks Jess! 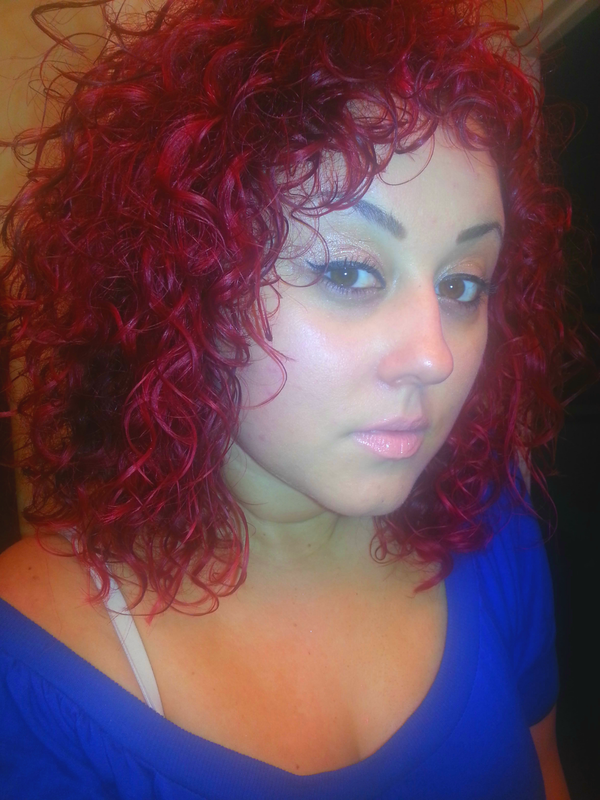 Your curls are gorgeous and this vibrant red would look amazing on you! hi i just wanted to ask how you retouched the whole head without ruining your hair? Sorry – what do you mean retouched the whole head? Are you talking about how I bleached my hair and got it red or you mean ongoing root touch ups and refreshing the colour overall? do you bleach your hair every time you dye it? i bleached my hair and dye it the splatz red and it didnt take all over my hair i need to dye it red again before my sons bday and i want to know if i have to re bleach it and then use the ion semi permanent? No I don’t bleach it every time I dye it as long as my hair is already red. In that case I am just refreshing the colour and it’s already red so no need to bleach. Also I don’t bleach my roots because it’s virgin hair so that will take too. Only time I bleach is when I am changing colours or going lighter. Was your hair red already? Or some other colour? Also how will did it bleach? I only used splatz once when I went purple and did not like it much.